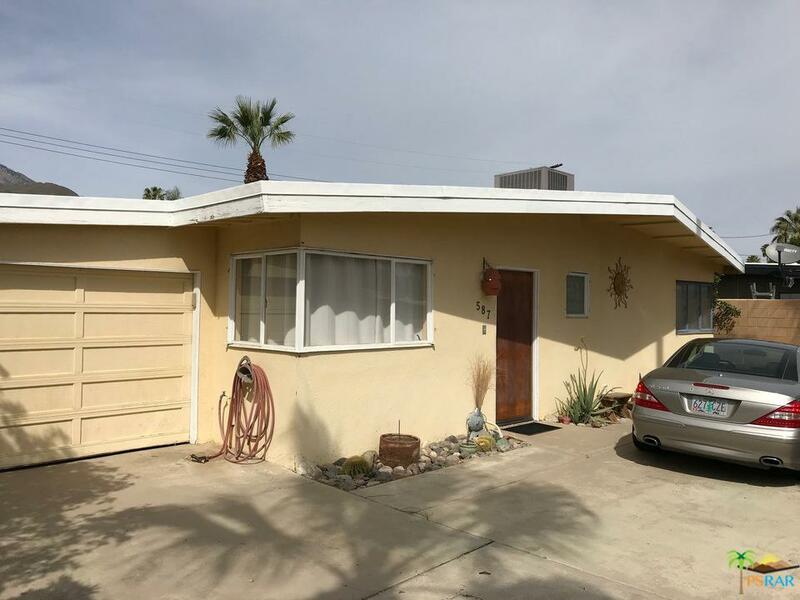 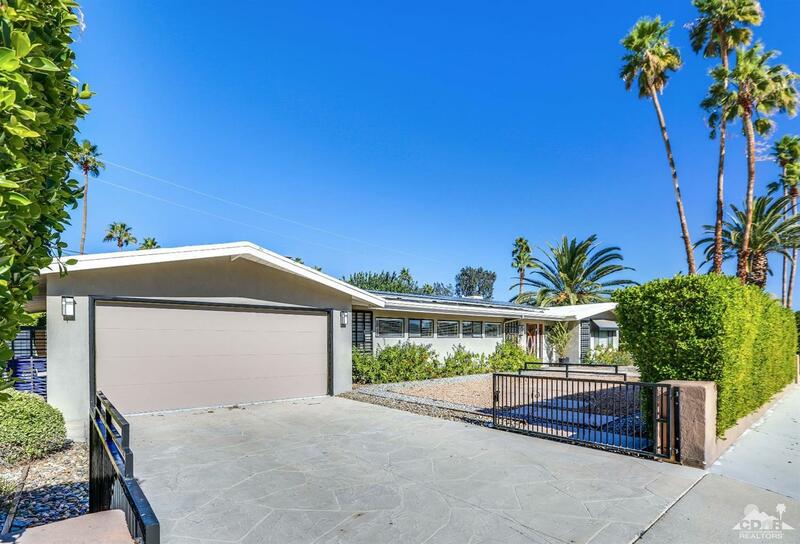 Light, Bright new exterior with complete remodel and priced well below comps. 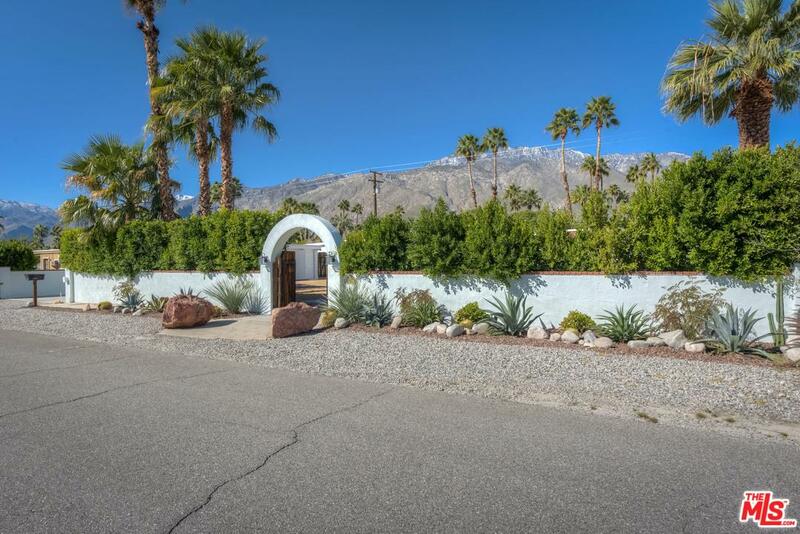 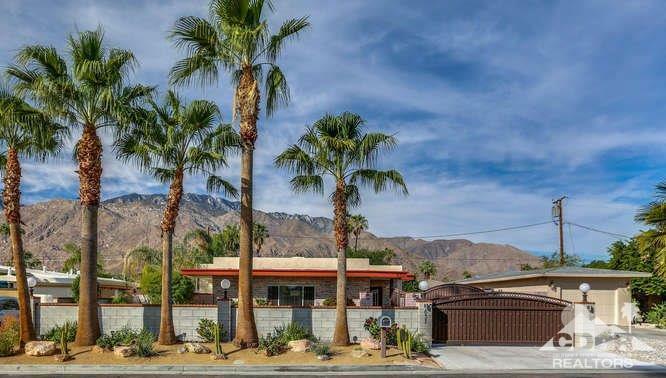 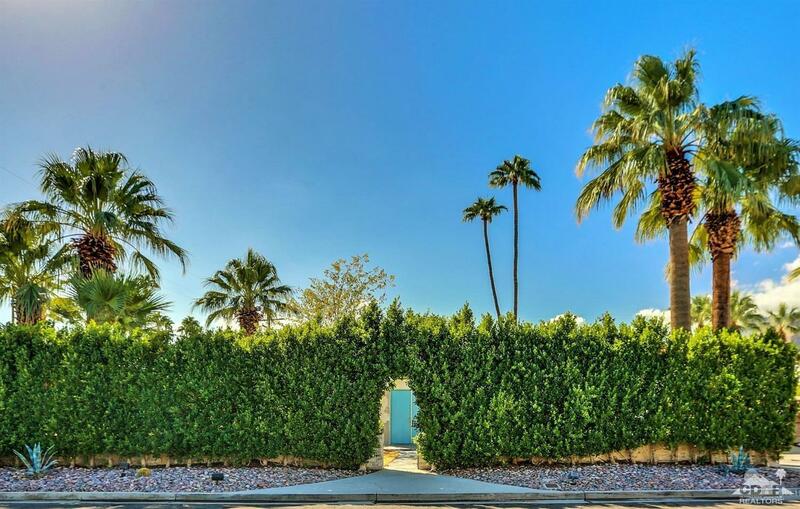 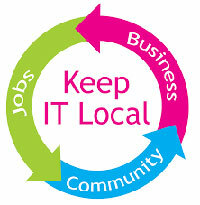 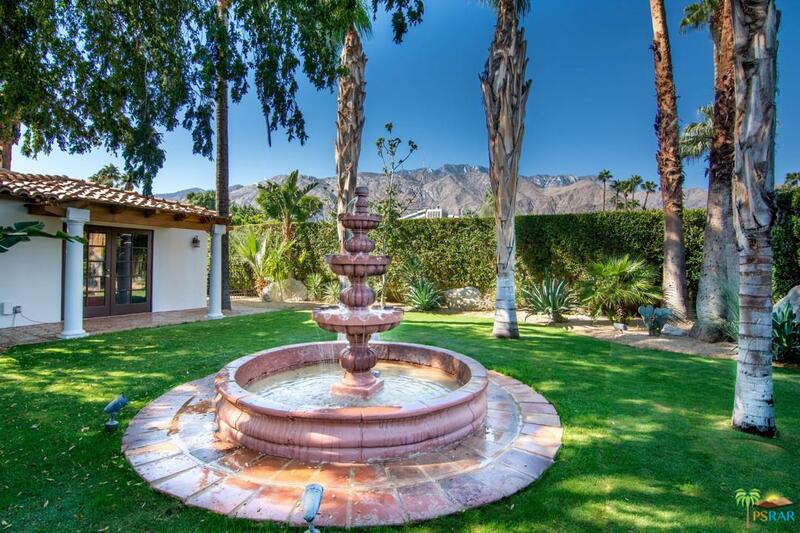 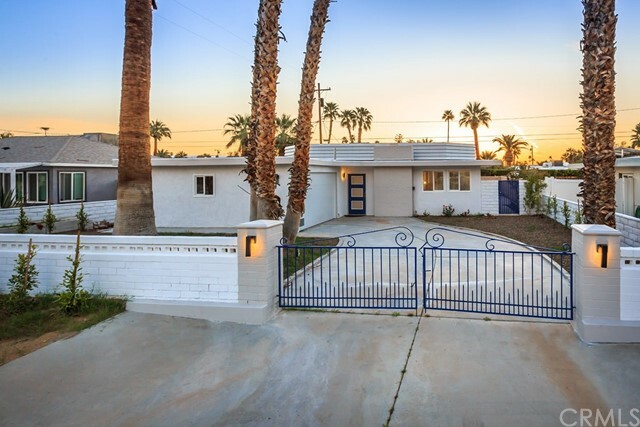 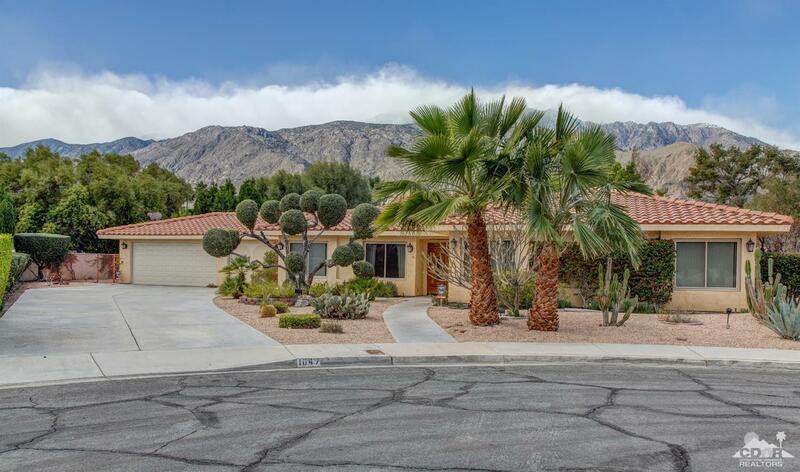 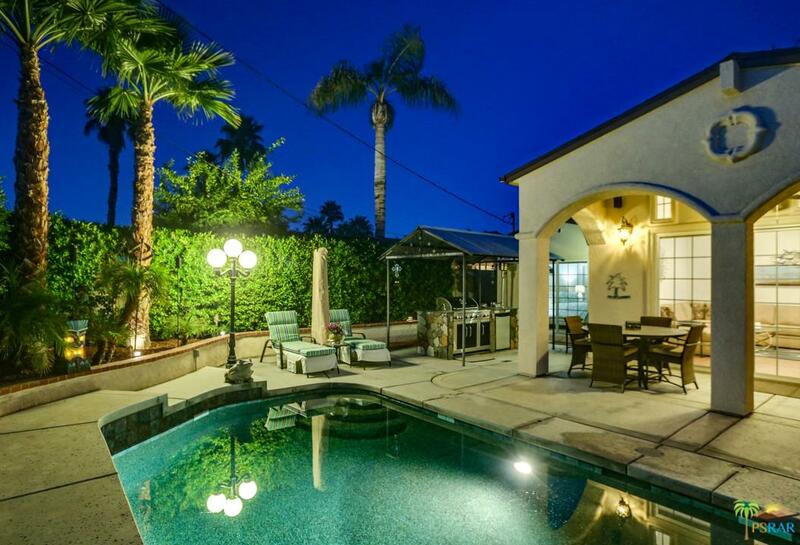 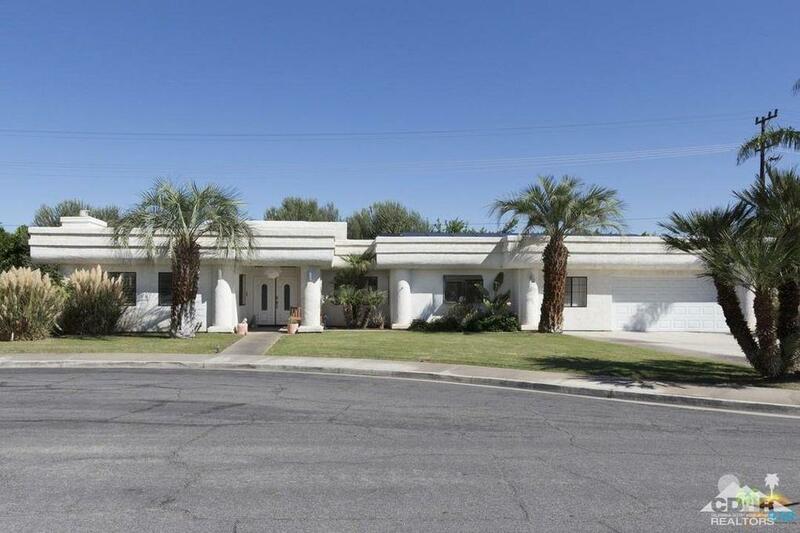 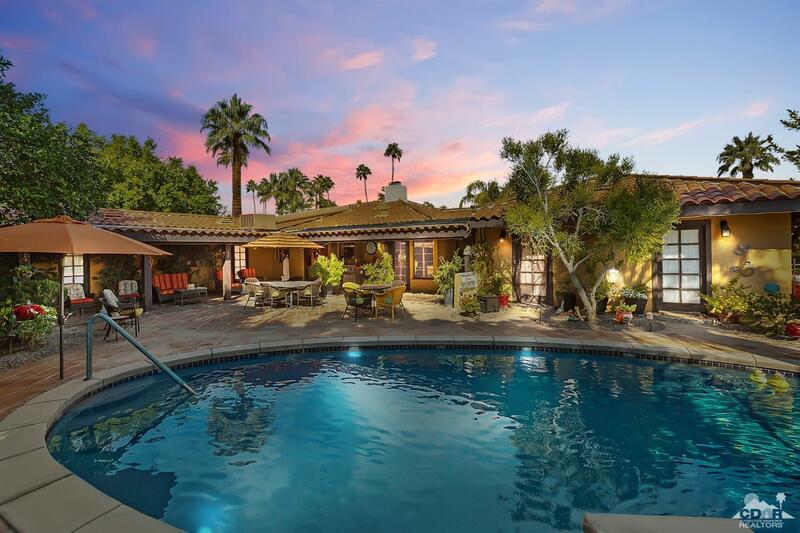 Walk to RH park and tennis courts and Palm Springs uptown, restaurants, shops just blocks away. 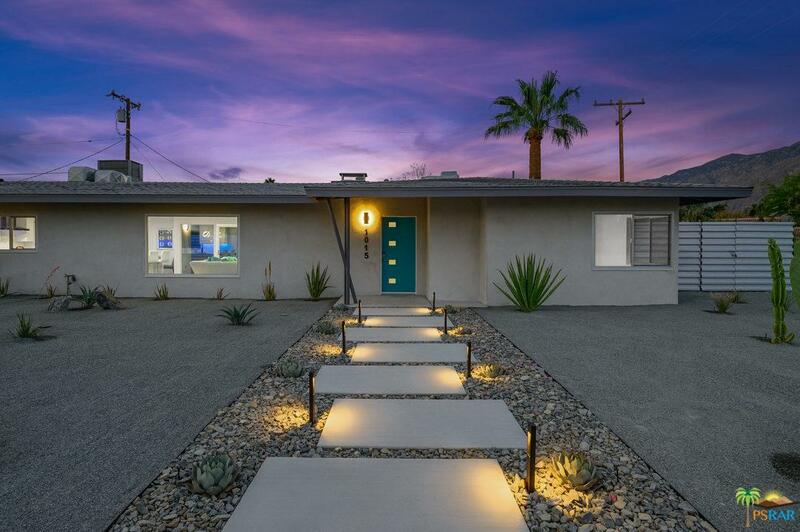 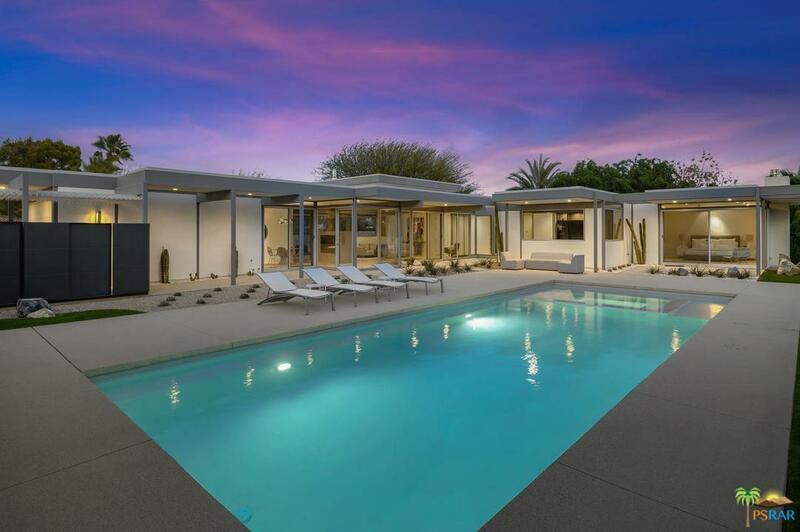 Every surface in this classic home touched with high end finishes, new electric entry gates, all new stainless appliances even stainless farm sink and new pool equipment filter pump and heater set for one touch programing from your phone. 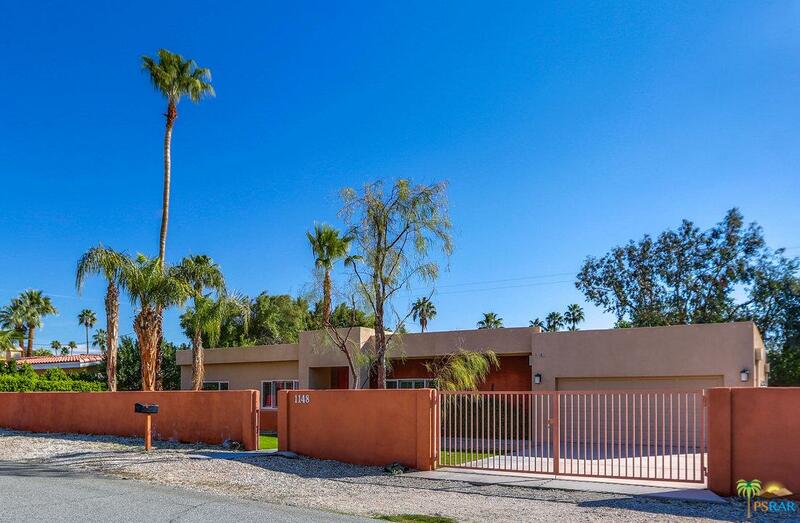 Could be a fabulous home, second home or vacation rental with gracious separation of bedrooms but you will enjoy your own private, gated getaway. 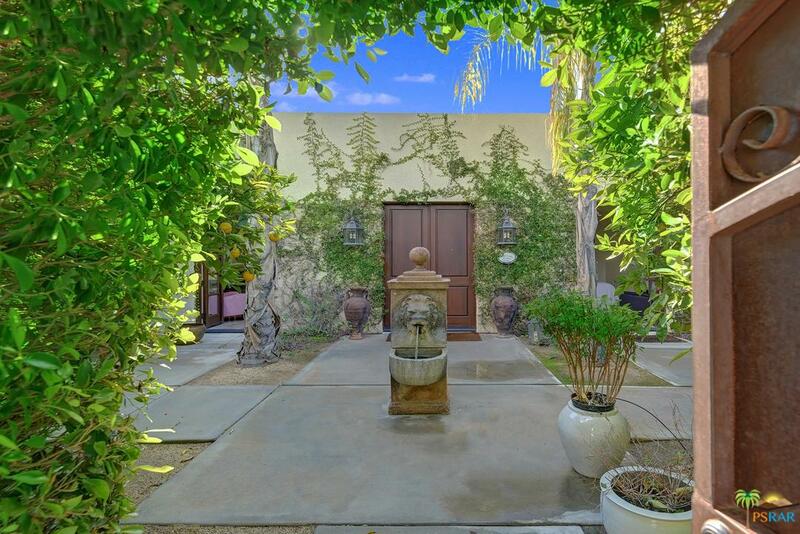 As you walk thru the double front doors, the entry draws you into a step down Great room and even to the backyard where the pool and spa are front and center with a fountain in back corner. 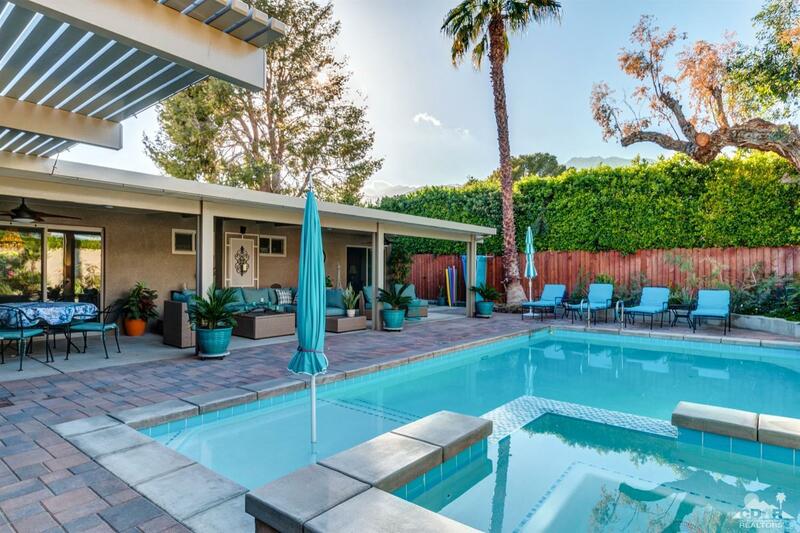 With 3 bedrooms, all have en suite bathrooms attached, the master being a real retreat, and one extra bath out by the pool. 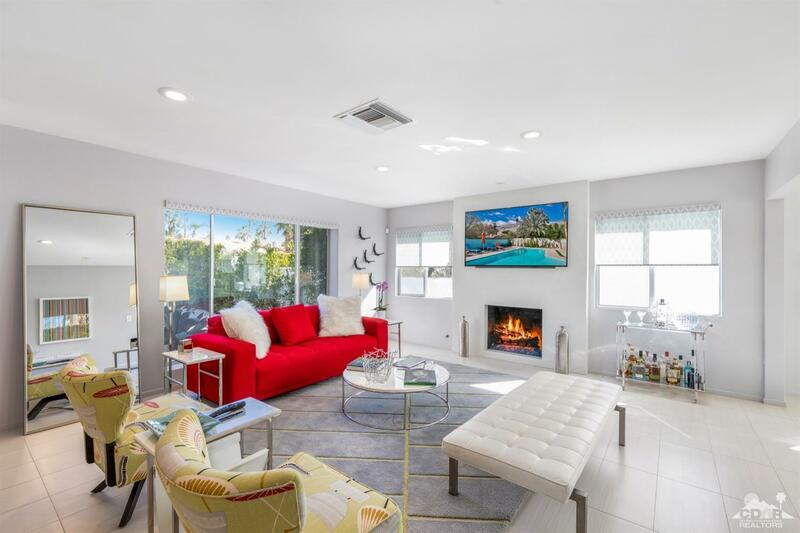 The extra expanded galley kitchen with walk-in pantry gives you plenty of space to create a delicious meal.